”Just tell me a story,” Dr. Danielle Ofri admonishes her medical students and interns at morning rounds. 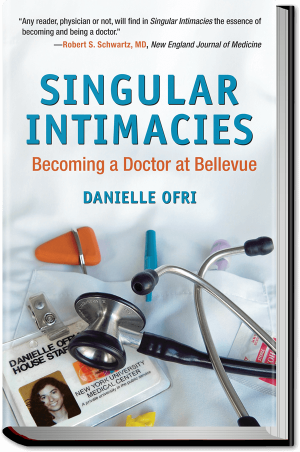 To Dr. Ofri, an attending physician at Bellevue Hospital Center, a part-time writer and the editor in chief of the Bellevue Literary Review, every patient’s history is a mystery story, a narrative that unfolds full of surprises, exposing the vulnerability at the human core. The review was founded two years ago by Dr. Ofri and Dr. Martin Blaser shortly after he became chairman of the department of medicine at the New York University School of Medicine, with which Bellevue is affiliated. The two created the journal to ”touch upon relationships to the human body, illness, health and healing,” according to its mission statement, a broad canvas indeed. Few contributions are by doctors. One, by Robert Oldshue of Boston, is his first published short story, ”The Mona Lisa,” about a nursing home patient who is accidentally locked in an elevator overnight. There is also an essay by Joan Kip, 84, on being widowed. ”Alongside his love for me is my own expansive love for him,” Ms. Kip writes, ”as we move in concert with one another across the illusion of separateness, embraced within a spiral of light, which has no beginning, no end.” Two pieces in the magazine are about ears. One, by Cortney Davis, a nurse practitioner, is a poem: ”Pearly, uninformed, it waits/ for the otoscope’s puff of air.” The other is an essay by Eric Jones, a freelance science editor, about having an earache as a child. Dr. Blaser said he helped start the review to improve the medical students’ writing. ”It became clear to me what poor writers most doctors are,” he said. 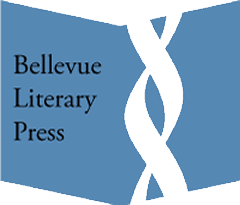 But it seems fitting that Bellevue Hospital, where writers have been committed in the extremes of mental collapse and which is at the center of American cultural life, would have a literary magazine. Malcolm Lowry set part of his novel ”Lunar Caustic” in Bellevue after being committed to its psychiatric ward for observation. Part of Billy Wilder’s movie ”The Lost Weekend,” which starred Ray Milland as an alcoholic, takes place at the hospital. And among the writers who spent time as patients there are Norman Mailer, after he stabbed his wife, Adele, in 1960; William Burroughs, after he cut off his fingertip and gave it to a boyfriend; and the poet Delmore Schwartz, after he attacked the art critic Hilton Kramer, who he thought was having an affair with his wife. 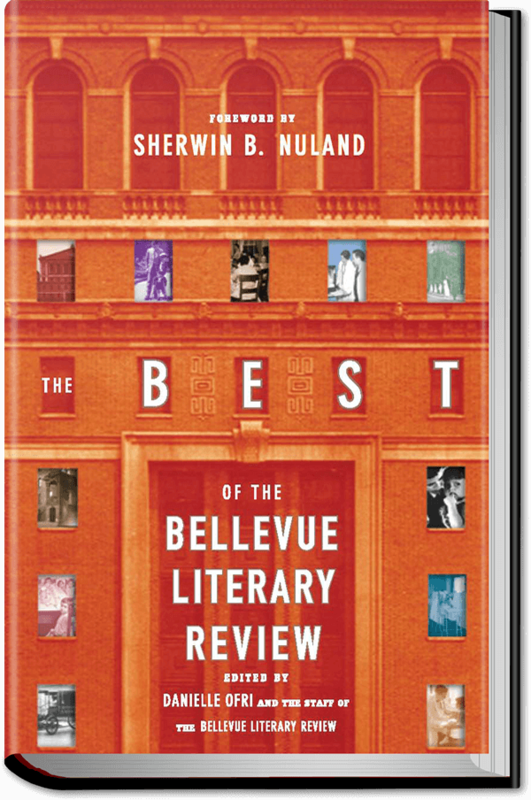 The playwright Eugene O’Neill and the poet Gregory Corso also spent time at Bellevue in stages of nervous breakdowns. The novelist Walker Percy was an intern there but left medicine after contracting tuberculosis. Dr. Ofri emphasized that the magazine was not aimed just at doctors. ”Everyone has been touched by illness,” she said. ”Hopefully, it will illuminate something for them.” The review is sold nationally by Barnes & Noble and other bookstores. ”What is the social history?” Dr. Ofri asked the medical students standing around the patient. ”The social history is important. If a patient lives on the street, and you send them out with dressings that need to be changed, that is a problem.” The monk, it turned out, was staying with a group of Tibetans in Queens. At the end of rounds Dr. Ofri often makes her tired students listen to a poem or an essay. ”Sometimes it requires chocolate to make them stay,” she said. A recent poem was ”Gaudeamus Igitur” (”Let Us Rejoice Therefore”) by John Stone, a doctor and writer, first delivered as a valedictory address at Emory University School of Medicine in Atlanta. It was inspired by the medieval song of that name, and its form, in which every line begins with ”for,” was suggested by ”Jubilate Agno” (”Rejoice in the Lamb”), written by the 18th-century poet Christopher Smart in praise of his cat.